ALL VETERANS, SERVICE MEMBERS AND SPOUSES ARE WELCOME. Meditation - ​Awareness exercises that enhance focus and concentration. Mindful Movement - ​Deliberate exercises that bring the body through its natural range of motion to enhance strength and flexibility. Guided Rest - ​Guided meditation practices that lead to deep and profound relaxation and rest in the mind and body. Gratitude - ​Simple exercises in being thankful for what is right. I’m an Ex-Marine and a Yoga Teacher. Or you could say, I’m just a guy that practices Yoga. Don’t hear any of those things together all that often. I don’t think about them that much but do often get “No offence man, but you don’t look like a Yoga Teacher.” Maybe I don’t, actually I know I don’t. I’m not all that flexible and do have a bit more to me than I really need. But, that’s why I think it’s important that I share who I am and what I’ve learned over the years. I may have long transitioned to civilian life, but I do still remember those years overseas and also the first days after getting out. Feeling different than I was when first joining and missing the new friends I made, not being able to fully relate to old friends. Confusing times to say the least. I managed and I adjusted but it wasn’t always easy and it’s not something just anyone would understand without having seen some of the things and places I’ve seen. 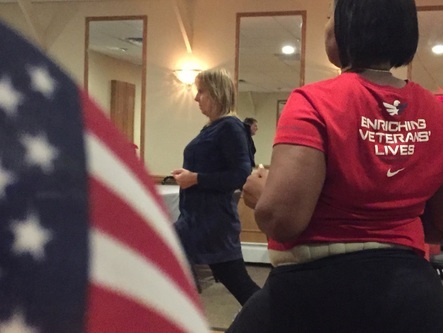 It wasn’t my service or anything related to it that led me to Yoga. It was a series of events later in life that helped me to discover Yoga and its benefits. I’ll forever be thankful to those that shined the light on my new path and I hope that I can relate those benefits to others and maybe show some that Yoga can be for anybody. I’m no longer mean and may no longer be as lean, but as they say “Once a Marine always a Marine” and till my last day, I’ll always be Faithful. My time in uniform has passed but feel a responsibility and debt to those that have or still serve and to those that support them. 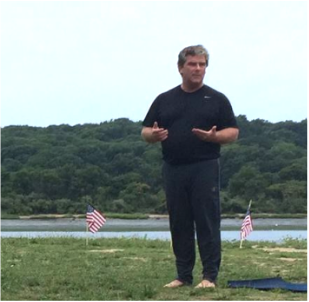 Veterans Yoga Project is an educational and advocacy organization dedicated to improving the health and well being of military Veterans.